The LE-363 Audio Monitoring Kit from Louroe Electronics is a single-zone audio monitoring system designed to interface with a DVR, VCR, or other recording devices that accept line level input. This kit consists of a Verifact E Microphone, an APR-1 Desktop Base Station, an AD-1 Plug-in Switching AC Adapter, and a Dual RCA Cable. 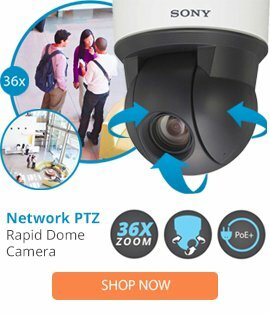 It is suitable for use in convenience stores, police interview rooms, booking rooms, fast food restaurants, casino soft count rooms, speech therapy labs, or anyplace where CCTV cameras are installed. The APR-1 Desktop Base Station is a single-zone, non-alarming audio monitoring base station. As a system (with a Louroe microphone), it provides one-way live audio with a built-in 3" (7.62cm) speaker. It contains input/output jacks for connecting to a DVR / VCR that accept line level input for audio recording and playback. Other features include adjustable volume control and a 3.5mm headphone jack. A mute switch is also provided to mute the audio heard on the speaker of the headset. The distance between the APR-1 base station and the microphone can be up to 1,000' (305m). The Verifact E Microphone is an electret condenser, omnidirectional microphone with a preamp that is constructed inside a single-gang weather-resistant Bell Box. It is phantom powered from the Louroe Base Station. It is designed for outdoor applications or where moisture may be present. It is suitable for surface mounting only. The Dual RCA Cable allows connection to DVRs / VCRs or other audio devices that accept line level input. The UL listed AD-1 Plug-In Switching AC Adapter supplies 12VDC to the APR-1 Base Station.